Networked intelligence between different chassis systems is critical for autonomous driving in the future. ZF’s cubiX has this intelligence. Stefan Schrahe has been writing about everything four-wheeled for three decades now. In his leisure time, he enjoys traveling by bike - though he also prefers motorized ones. Let’s face it: Who among us, while considering herself or himself a good driver, truly enjoys being a passenger? Are you really able to close your eyes or get lost in a good book when someone else is driving? According to a survey conducted by the market research institute Innofact, 77 percent of all Germans have, at some point, felt uncomfortable as a passenger in a vehicle. Conversely, according to another survey conducted by the U.S. insurance portal “Insurance”, it is also true that 47 percent of drivers found know-it-all back-seat drivers annoying. Being a passenger? Not so easy! In autonomous vehicles, however, we will somehow have to come to terms with the role of passenger. As passengers we experience a loss of control, which represents a significant challenge psychologically. Neurobiologist and best-selling author Dr. Marcus Täuber describes it like this: “If we feel that we have no control over a situation, our body reacts with stress programs. From a neuroscience perspective, the loss of options to influence the situation represents an emergency.” It is therefore clear that autonomous control systems must be able to convince even the most skeptical of passengers to let go and place their trust in digital and mechatronic systems. Automakers are trying to build that trust by introducing drivers gradually to autonomous driving. In fact, this is already happening with the introduction of comprehensive assistance systems and semi-autonomous features as an interim phase in the gradual transition to fully automated driving. This is where Dr. Caspar Lovell, project manager at ZF, currently sees a paradigm shift: “Until recently, we had assumed that autonomous driving, like many other functions, would spread from the luxury segment to the lower-price vehicle segments. In the meantime, we now expect that driverless vehicles will be initially launched in completely new mobility concepts that will first be used in inner-city traffic at low speeds.” Someday we may find ourselves facing a driverless robot taxi or people mover, forcing us to decide: Will I get in or not? For acceptance of autonomous vehicles, it is indispensable that users have confidence in their function and safety. In order to make the driving experience in autonomous vehicles a pleasant one, the longitudinal and transverse dynamics of the vehicle must first be optimally coordinated. From our experience as conventional passengers, we are familiar with jolting, unexpected steering, braking or acceleration by another driver, all of which undermine our confidence in that driver’s ability. This is where ZF’s cubiX comes into play, a new software that integrates numerous chassis systems to ensure a comfortable passenger ride experience. Lovell: “Our goal is to centrally control all of the vehicle’s active and semi-active actuators that affect the driving experience and the safety of a passenger, including steering systems, shock absorbers, brakes and the driveline.” Today, each vehicle has a large number of sensors and controllers for the individual actuators, which form an extremely complex information network and need to communicate individually with each other. cubiX combines all of this into a modular and scalable control mechanism for longitudinal, transverse and vertical dynamics. The aim is to make travel as comfortable as possible for the passengers. The developers benefit from the fact that ZF engineers technologies for autonomous driving, covering all areas of driving dynamics with its components. As a central communication interface, cubiX coordinates between the advanced driver assistance systems (ADAS) functions and the actuators. This enables control of all components that are relevant for longitudinal and transverse dynamics, including electric power steering (EPS), the electronic braking system (EBS), rear wheel steering ( Active Kinematics Control ) and the electric drive system integrated in the rear axle ( mSTARS ). 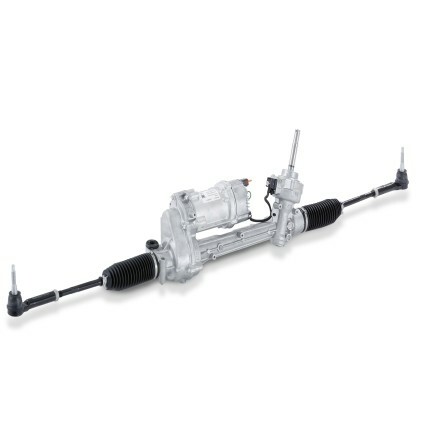 If electronically controlled shock absorbers are installed, it is even possible to control the vertical dynamics. The electronic braking system is an important prerequisite for centrally controlling longitudinal dynamics. 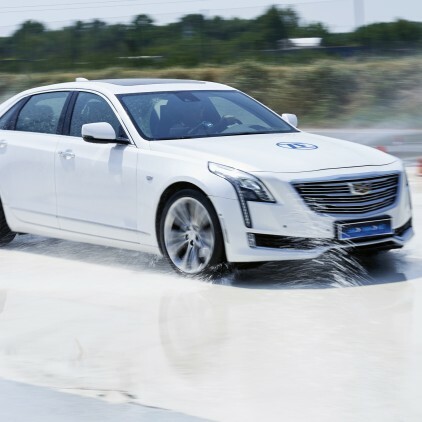 For the movement of the vehicle, trajectories and speeds are required, which are made available to cubiX by the ADAS in order to control the actuators as required. What’s special about this is that because the coordination layer takes into account the current performance capabilities of the actuators and the environmental conditions, it also knows whether the trajectory can be implemented as planned or needs to be corrected – for example, when the trajectory’s curve or speed needs to be adjusted due to snowy road conditions. This information is immediately reported back to trajectory planning, allowing cubiX to adjust to μ-split situations with different coefficients of friction on the right and left tires and distribute steering and braking forces accordingly. We want to centrally control all the active and semi-active actuators in the vehicle that influence the driving experience and the driving safety of a passenger – steering system, shock absorbers, brakes and drive. System integration offers yet another advantage: It can meet the demand for redundancy within safety-relevant systems more easily thanks to intelligent task distribution. 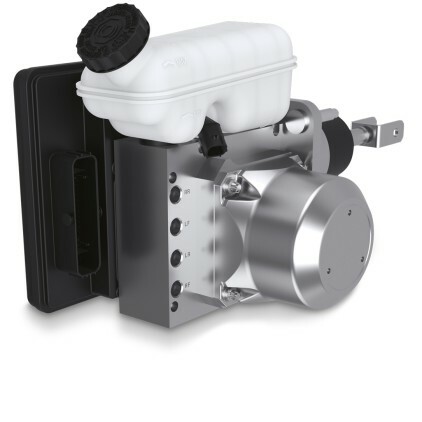 For example, if the brakes fail, the mSTARS axle is able to safely decelerate the vehicle using its generator function. If the EPS were to fail, this could be compensated for in a targeted fashion with the assistance of the AKC® or torque vectoring, in order to safely steer the vehicle to the side of the road in an emergency situation. Networked systems will transform today’s car drivers into relaxed passengers in just a few years. For autonomous vehicles to gain acceptance, Lovell believes that well-coordinated longitudinal and transverse dynamics are critical factors. The more dynamic the vehicles are on the road, the more important the integration of vertical dynamics will become. “If you’re not actually sitting behind the wheel, it is easier to blame the autopilot for every noticeable pothole or unexpected bump in the road,” Lovell explains. “To prevent these negative experiences from occurring at all, we have integrated innovative chassis systems into cubiX.” For example, the new active damping system sMOTION – an advancement of ZF's Continuous Damping Control (CDC) – can actively counteract uneven roads, including potholes or bumps. The system thus practically eliminates vehicle rolling, pitching and lifting movements. In just a few short years, networked systems will make it possible for today’s drivers to become the relaxed passengers of tomorrow, allowing them to spend their time in the vehicle on work or personal matters. However, we will only get there if scary moments and negative surprises can be avoided as we move closer and closer to fully automated driving. The electric power steering translates commands issued by the new software into transverse dynamics. Networking active dynamic driving systems with cubiX can further exhaust the physical limits of sports cars. Examples of this include functions like Torque Vectoring, Active Roll Stabilization and Electromechanical Roll Control (ERC). The ERC eliminates unwelcome chassis movements that would otherwise affect the car body during dynamic cornering and on uneven road surfaces. The 48-volt electric motor installed on the axle equalizes vehicle roll motion in under 300 milliseconds at torques of up to 1,400 newton meters. The result is greater stability in curves. Combined with the active rear axle kinematics (Active Kinematics Control), further applications are possible, which can bring the safety, performance and comfort of conventional vehicles to a whole new level. Networking active dynamic driving systems optimizes the vehicle handling of sports cars. A special product needs a special name. That’s especially true if the product comes from the Car Chassis Technology Division C and is software instead of hardware. It’s an interdivisional product being engineered by both the A Division and the Corporate Development Department. But what is it exactly? It’s a special software architecture that interlinks advanced systems of a vehicle such as the electric power steering (EPS) on the front axle, the active rear axle steering Active Kinematics Control (AKC®), the active damping system sMOTION, the driveline (EVD) and the integrated brake control (IBC). The software has been developed according to object-oriented design principles, which enable the creation of an abstract and scalable interface to the advanced driver assistance systems (ADAS) and the actuators of modern vehicles. This mode of operation is similar to the plug-and-play principle known from the PC world. Thanks to optimal networking of the individual actuators, the software makes a significant contribution to highly automated driving and increases driving safety, ride comfort and driving dynamics. Finding a fitting name for the software architecture wasn’t easy. Nonetheless, starting from the individual terms that describe the complexity of the software, a logical solution was found: Chassis Control Coordinator C³ -> “cubic” or “cube” as a symbol of modularity and scalability -> X for any number of interfaces to mechatronic actuators (mechatroniX) -> cubiX. In a nutshell: The new cubiX networking software enables ZF to integrate the dynamic driving systems of autonomous vehicles in a central control mechanism. The resulting harmonious longitudinal and transverse control inspires confidence in its safety and reliability among passengers – an important prerequisite for the acceptance of self-driving cars. However, even conventional vehicles can benefit from the intelligent networking of assistance systems from cubiX – through greater driving safety and improved handling.